Summer is just around the corner, which means you’re probably making plans to get outdoors as much as possible. Camping is a perfect way to enjoy natural surroundings and spend quality time with friends and family. Whether you head to a national park or a local campground, you’ll need to plan ahead and bring along the right equipment. For a truly “green” experience, consider sustainable gear that keeps the environment in mind. 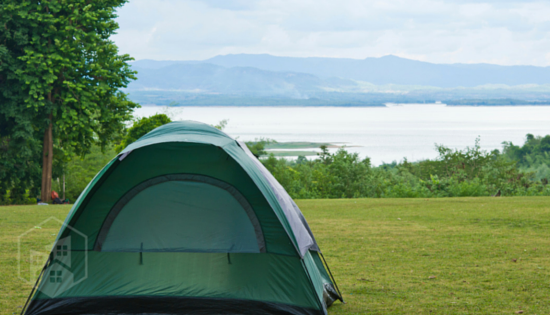 Make your upcoming camping trip more eco-friendly with the following products. When outdoor temperatures drop at nightfall, you’ll want to snuggle up in a Big Agnes Gunn Creek sleeping bag. The product’s insulation is made from 100 percent recycled material and provides total body coverage. The sleeping bag even has a free range hood, allowing you to move and lift your head even when you’re zipped in. Also, the Gunn Creek sleeping bag has mesh storage compartments for belongings you’ll need throughout the night. As a company, Big Agnes is committed to providing a greener camping gear selection – such as sleeping bags, sleeping pads and tents – to its environmentally conscious customers. Whether you’re taking a short hike or going on an extended camping trip, pack your necessities away in an ecogear™ backpack. The pack is made out of recycled water bottles and has vented straps that provide a lightweight look and feel. Don’t want to carry around a bulky water bottle on your trip? The ecogear™ Hiking Backpack has a built-in water bladder that can carry up to 2 liters of liquid. Even if you find yourself bringing more items than expected, this product has multiple compartments to keep you organized. Light up your campsite with Goal Zero’s mini lantern. The product is a compact LED lantern and only has to be charged every three to six months, according to the Goal Zero site. If you bring any electronics along on your trip – such as a camera, cellphone or fitness tracker – you can use the lantern’s USB port to charge your devices. Also, you can use the mini lantern in many different scenarios depending on your campsite set up. Clip it to a carabiner, hang it on a post or use the product’s collapsible legs to set it on the ground. The Klean Kanteen water bottle is a sustainable option that’s suitable for everyday use or on your camping excursion. The company is a Certified B Corporation and models its water bottles with the environment as its focus. The Klean Kanteen product is BPA-free, made completely out of stainless steel and fits up to 40 ounces of liquid. The reusable water bottle – along with other Klean Kanteen products – is simple to clean and has a lifetime warranty. Also, you can pick from six colors and leak-proof caps to better customize your bottle to fit your needs. Need heavy duty camping utensils that are eco-friendly? The To-Go Ware® utensil set offers a spoon, fork, knife and chopsticks all in one fabric pouch. Not only are the utensils made from recycled plastic, but they’re also stain- and heat-resistant, as stated on the To-Go Ware® site. Also, you can choose from different fabric pouch colors such as merlot, pumpkin, agave and avocado. On your next camping trip, you can rest assured knowing your utensils are functional, durable and better for the environment.